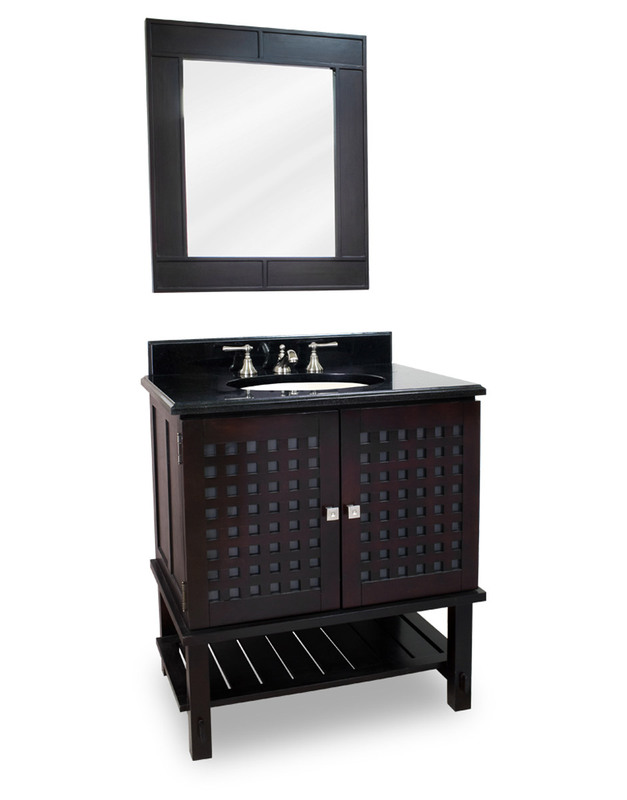 The 31.5" Jacksonville Single Bath Vanity is the ideal bath vanity for portraying one handsome room in your house. 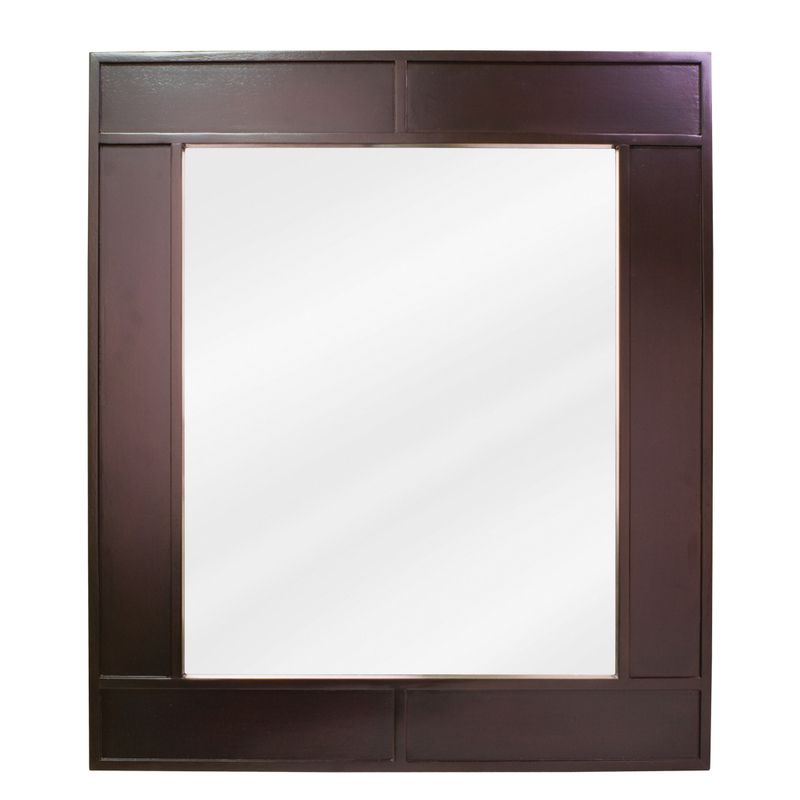 Highly sophisticated, the Jacksonville features a dark Espresso finish paired with a gray hued cabinet door inset and shimmering brushed metal square cabinet door knobs. 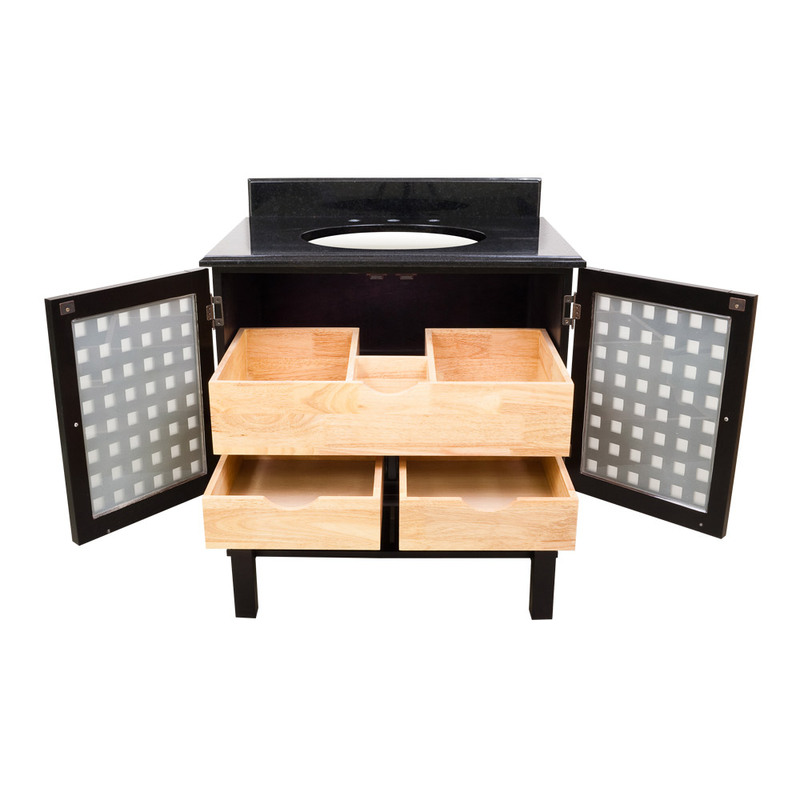 The double-door cabinet opens up to reveal tons of storage space, with a long middle drawer and 2 smaller drawers underneath. 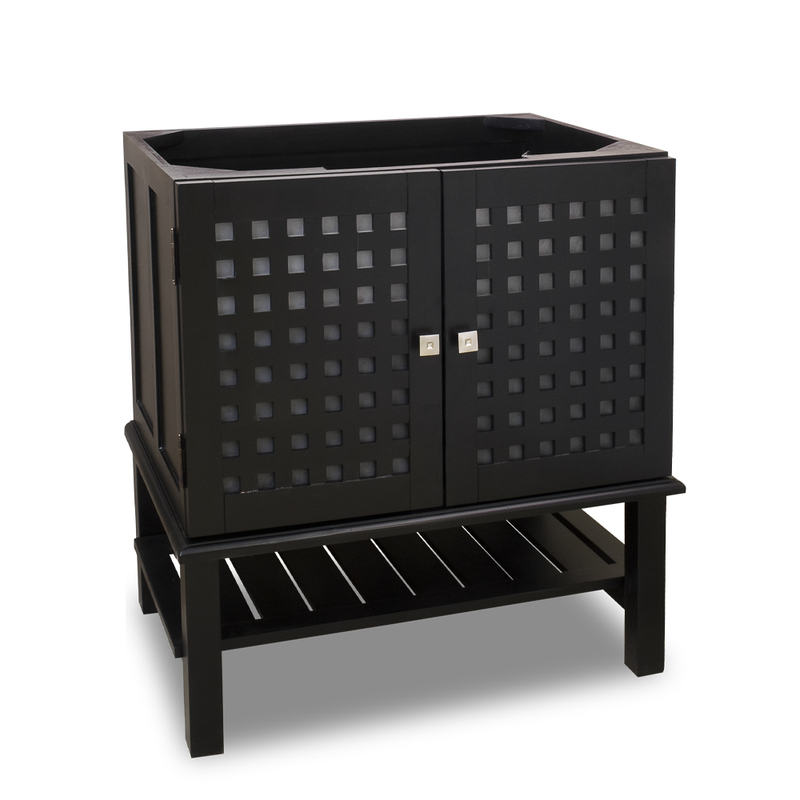 Each drawer is equipped with soft-close slides to ensure the durability of the Jacksonville. 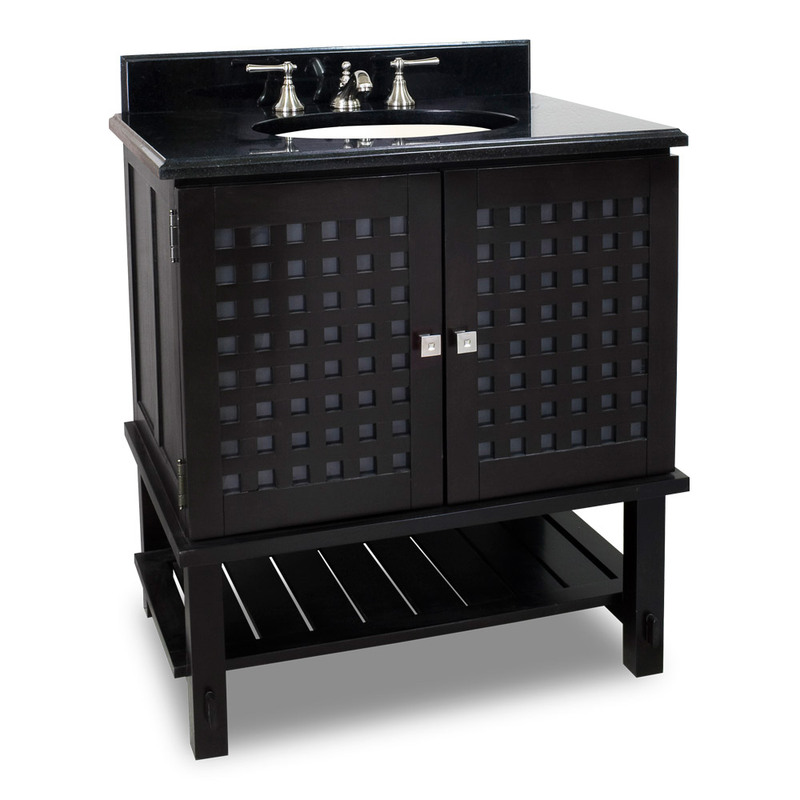 To continue with the spa-like, cool feel of the Jacksonville, this vanity is topped with a thick black granite countertop. Premier Collection LiteVanities that are marked as Premier Collection are the best vanities in the industry where no expense has been spared. These are the best vanities money can buy made from small quantities of handpicked solid hard woods that are hand finished to perfection. 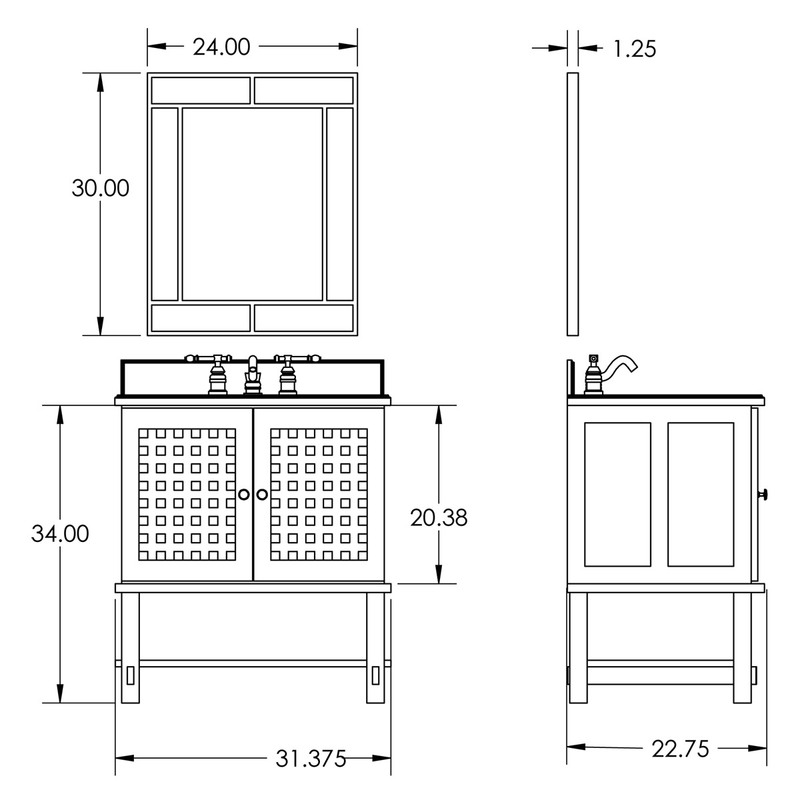 To be considered part of the Premium Collection the vanity must get A+++ grades in: Wood used, Interior Construction, Counter Top, and Finish.